Wherein Shells starts her final project before project # 5 is finished. 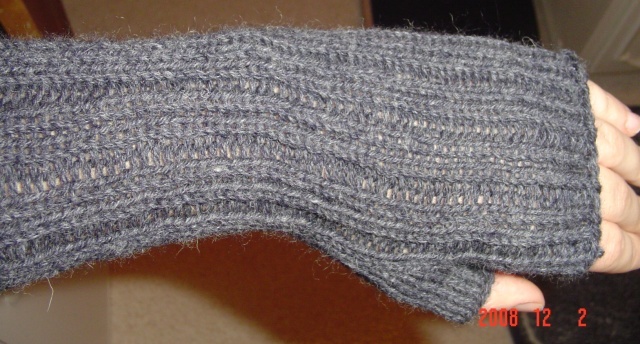 This pair of Maine Morning Mitts were so fun that I started them yesterday morning and finished them this morning. They were very addicting and I can barely resist casting on another pair right away! 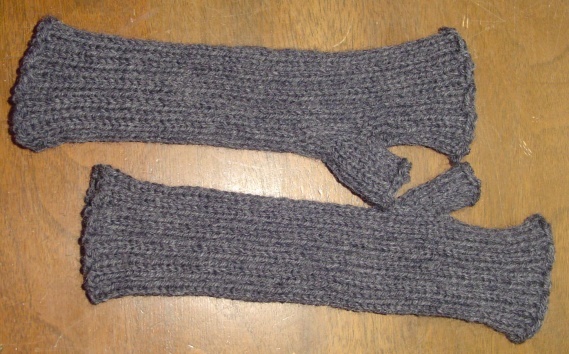 They match the final scarf perfectly, the ribbing on the mitts mimics the ribbing on the scarf.